Need a comfy chair, to rest on weekends and get some good sunlight in your garden? Then Amazon is here to fulfil that dream. This Sun chair is foldable, so it easy to carry anywhere and store. 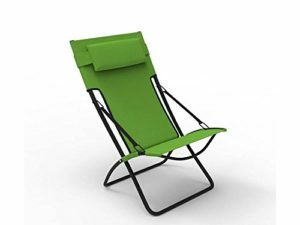 Buy Forzza Samui Folding Outdoor Recliner Sun Chair (Apple Green) worth Rs.3,999 for Rs.1,699 only.